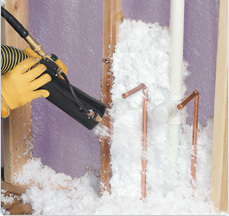 When looking for insulation companies that can replace the insulation materials in your Raleigh, North Carolina, home, the best place to turn is 31-W Insulation. We’ve been family-owned and -operated since 1972, offering expert installations of premium products throughout the southeastern U.S. ever since. And, all of our installers are our own proud employees, not subcontractors, so you can trust that they’ll uphold the same family-oriented values for customer service that we do as a company. Give us a try before you think about contacting other insulation companies – you can schedule an obligation-free assessment with us to help determine where your home needs new insulation and what kind is needed. Our experts will examine your house in Raleigh, North Carolina, from top to bottom, and we’re confident that after our assessment, you’ll find that you don’t need to turn to anyone else. If you’d like to learn more about what sets us apart as one of the best insulation companies in Raleigh, NC, contact 31-W Insulation today.